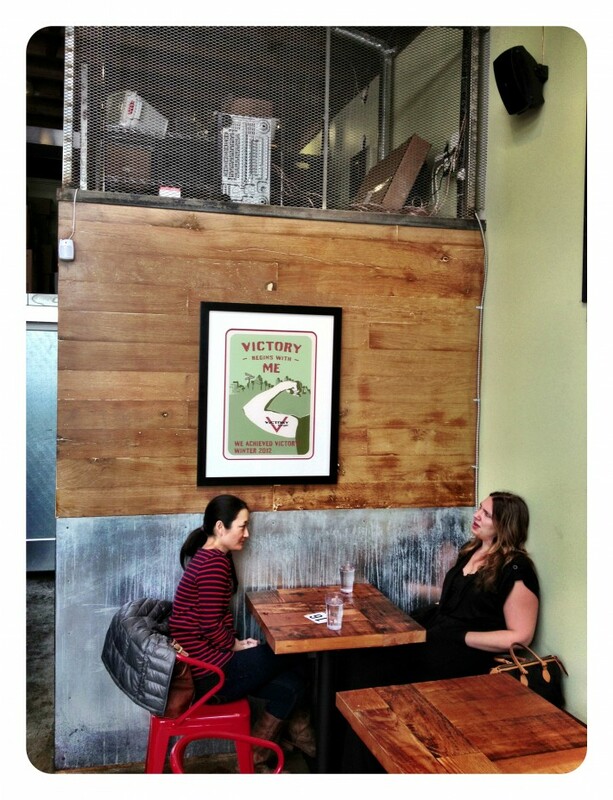 Custom framing for Victory Burger, Oakland - Panorama Framing, Inc. Always nice to see our framing work in the field… Looks pretty good in there! 🙂 Kudos to Victory Burger for opening up a beautiful shop with some tasty, tasty burgers (if we do say so ourselves).